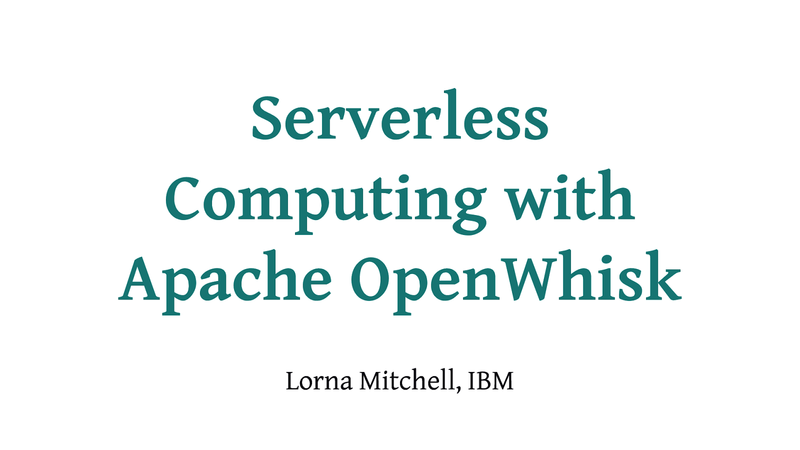 View Serverless Computing with Apache OpenWhisk on Notist. Serverless technology is a way of deploying individual functions to the cloud and running them on demand. This makes them very easy to work with, isolated from one another, and also individually scalable. Come and learn how begin using Apache Openwhisk for your own applications such as APIs or chatbot integrations. This session is recommended for tech leads and developers of all levels.